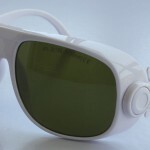 When you buy an IPL or a laser machine, it is essential to also purchase of a high quality pair of safety glasses. 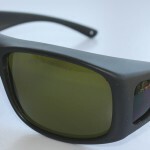 Safety glasses are rated by their Optical Density (OD), which measures how much light is blocked. Every 1 point increase of the OD blocks light by a factor of 10. So OD 0 = 100% light transmission; OD 1 = 10% light transmission; OD 2 = 1%; OD 3 = 0.1%; OD 4 = 0.01% etc. So, OD 4 glasses will reduce the transmitted energy of a 900mw laser to the equivalent of 0.09mw, which is barely visible. 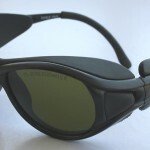 However, even if safety glasses are being worn, a laser / IPL beam should never be fired into the eyes. High-power lasers are not toys – they must be treated with respect and caution. Any retinal damage done is permanent.